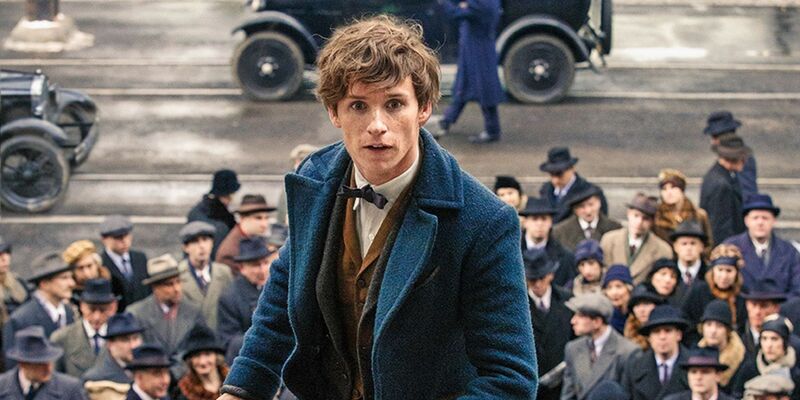 J.K. Rowling has already threatened to kill off a character in the upcoming "Fantastic Beasts and Where to Find Them"
Hope everyone really likes Newt Scamander! Because we’re about to start seeing A LOT more of him over the next few years (and/or, decades). During a fan event for the upcoming Harry Potter spin-off prequel, Fantastic Beasts and Where to Find Them, the screenwrtier behind the movie, J.K. Rowling herself, made the big announcement. While we always knew that there would be sequels to the Harry Potter prequel, we never expected that there’d be FOUR more of them — and also, now one character might not survive till the end. As Rowling took to the stage, as the audience literally leapt to their feet (because that’s what you do when you’re in the presence of the wizard queen herself), and you can watch along, starting at the 45 min mark. She offers up that she can’t tell us anything, even though she really, really wants to dish all about the first upcoming Fantastic Beasts. "I can tell you that...we were doing some script sessions the other day and I can tell you that we always knew it would be more than one movie," Rowling explains to the crowd. "We knew that from the start. And we said a trilogy as kind of a place holder. Because we knew there would be more than one. But now, I think we can say...I've now done the plotting properly so we're pretty sure it's going to be five movies." 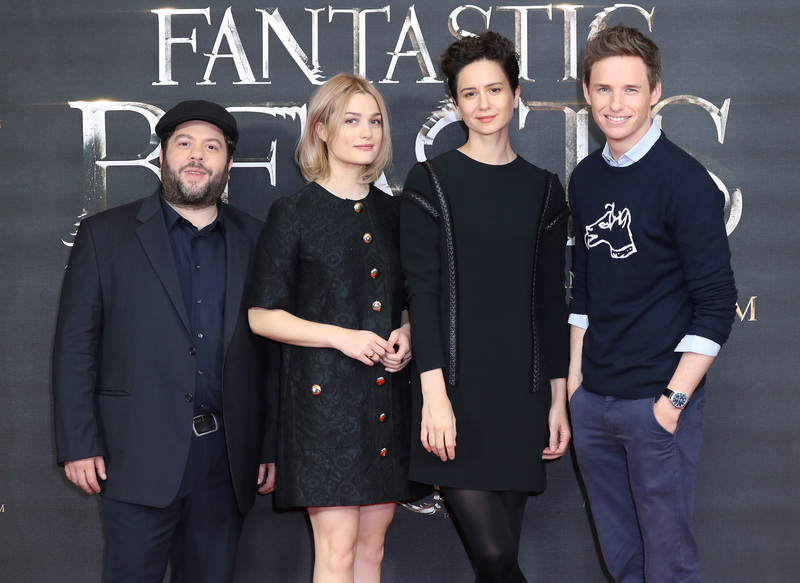 The film’s actors on stage with Rowling — Eddie Redmayne, Katherine Waterston, Dan Fogler, and Alison Sudol— did actually not know about this before the announcement, and they basically go into shock as soon as they hear. Rowling notes that Fogler, who plays no-maj Jacob, doesn’t look too thrilled. "Dan, why are you wincing? Do you want me to kill you?" She jokes and DON'T MAKE JO MAD, DAN. YOU HAVE SO MANY MORE MOVIES NOW. Check out the entire announcement below. Get your wands at the ready, and uh, tread lightly from now on, Dan.